With our mobile-based platform, any trader with a basic mobile phone can access real-time market prices, exchange rates and trade procedures. Our platform leverages the ubiquity of mobile phones and innovates on USSD and SMS technologies to enhance delivery channels of the information necessary for East Africa’s cross-border traders. Sauti’s nuanced understanding of the needs that face East African cross-border traders when identifying trade opportunities, complying with trade regulations, and negotiating favourable prices in foreign markets, combined with our innovative approaches to survey implementation and data-collection allow Sauti to provide enhanced stakeholder mapping with unprecedented reach and accuracy. 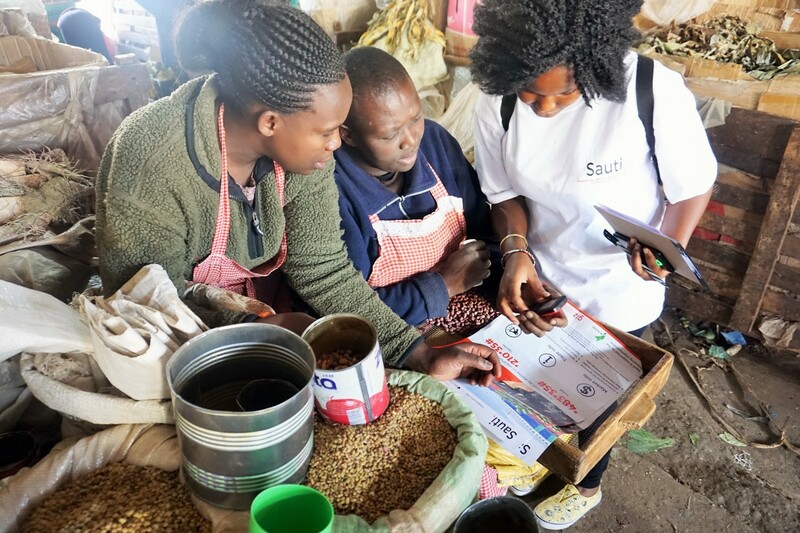 Sauti’s innovative data collection methods across East Africa’s cross-border spaces allow us to present key attributes of SME border trader’s business and border crossing behaviour. 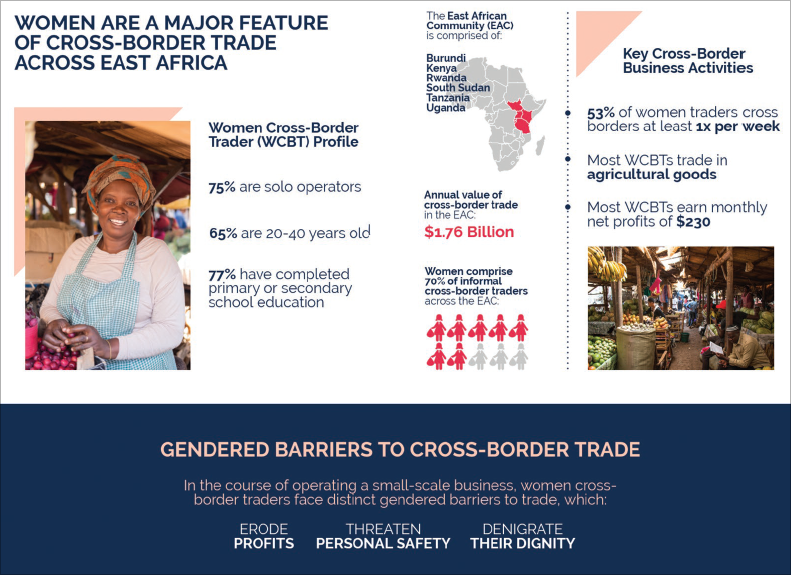 Our unique penetration with cross-border traders gives us superior data-driven insights, enhancing cross-border trade policy advocacy and impact reporting. 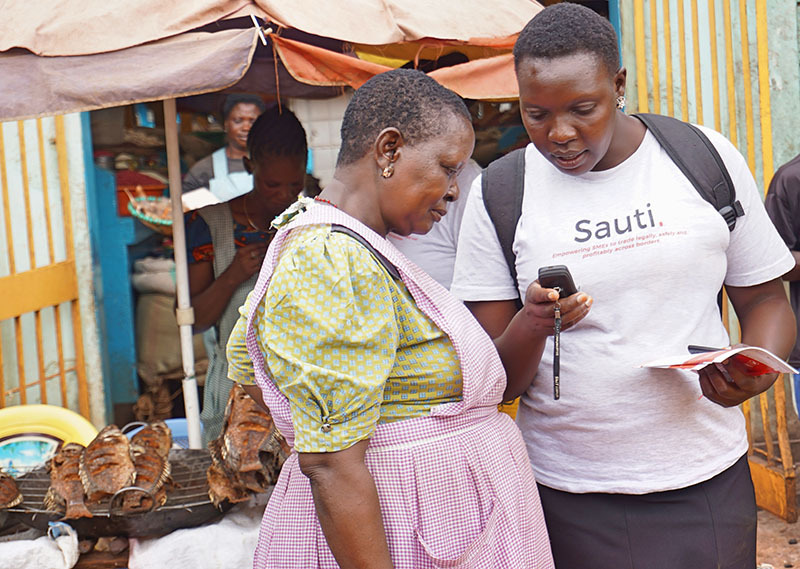 Sauti’s experience designing and implementing USSD and SMS information systems in low-technology environments makes it a leading solution provider for robust, dynamic, and reliable applications in East Africa. 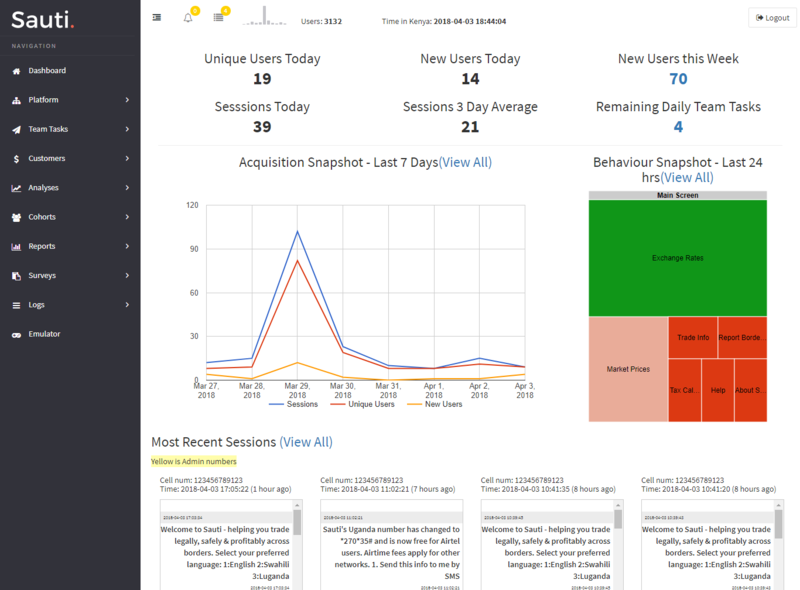 Sauti’s specifically designed content management system puts clients in control ensuring superior deployment and maintenance.